This week we’ve changed the Brawl of the Week – try your best in Platform Kings! We also changed items on sale in Mallhalla, reset missions, and updated what Legends are on the free-to-play Legend rotation for this week. 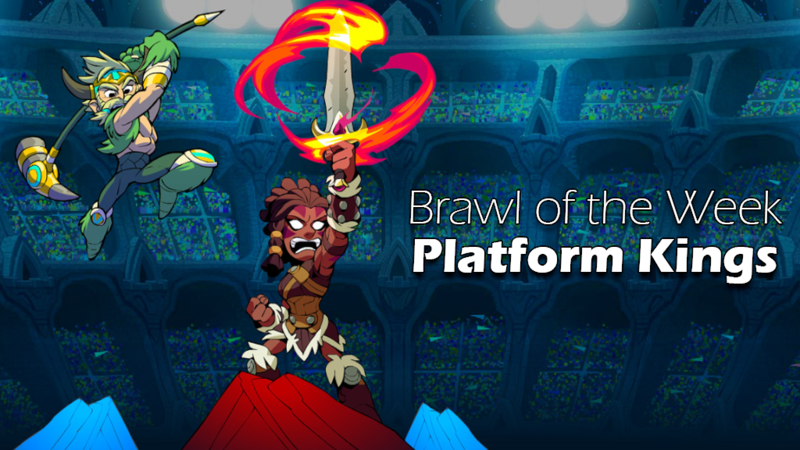 Brawl of the Week – Platform Kings! Who is the platform king? 4 Players face off on a map with 6 platforms. Stay on the red platform to score points. Stun your opponents to keep them from scoring. Watch out – the platform switches around the map! The Player with the most points at the end of 2 minutes wins! 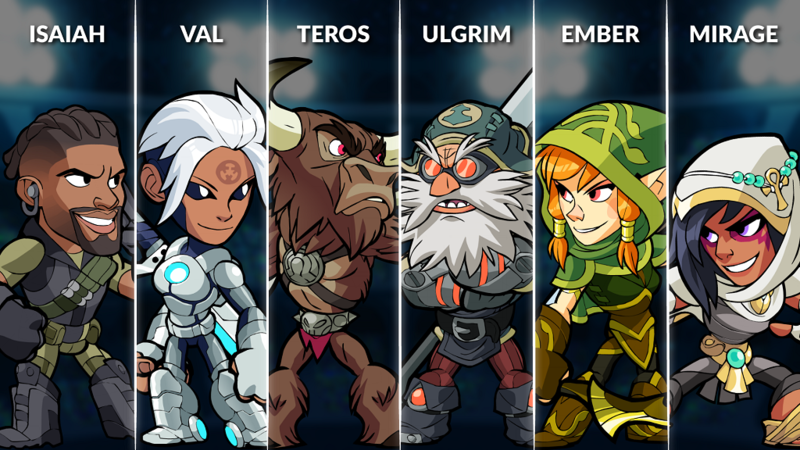 The new Legend rotation for this week includes: Val, Ulgrim, Ember, Mirage, Isaiah, and Teros.